Holidays in the Languedoc are great! The team here at the Coste Rouge campsite, welcome you to this 3-star campsite in Argeles-sur-Mer for a unique stay at the foot of the Albères mountains. 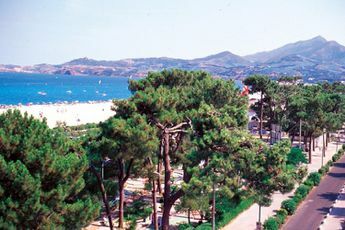 Located just 900m away from the sea and coves, The Coste Rouge campsite offers the perfect location for sporting activities and a great base from which to discover the area. The Coste Rouge is designed to comfortably accommodate the entire family. From mid-July to mid-August, a free children's club welcomes the younger members of your family for fun and educational activities. The campsite is surrounded by luscious vegetation, bathed in the radiant sun of the Pyrenées Orientales, and offers wonderful recreational and well-being facilities, (aquatic area with swimming pool, paddling pool, water slide, jacuzzi and sauna, games room, boules pitch, etc.) dance evenings, pitches in prime locations and comfortable accommodation. Take time to discover the excellent cuisine in its restaurant, or meet up at the snack bar after a busy day. Make your stay easier by using the Coste Rouge's self-service shop, where you can also order fresh bread. Check your emails and enjoy everything the internet has to offer (free internet access in the campsite's reception area). For your outings, the Coste Rouge campsite sells tickets to local attractions to ensure you get the best deals. 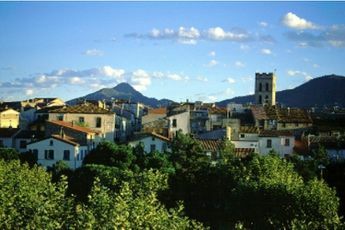 Nearest town Argelès-sur-Mer (3 km). Welcome to Argelès-sur-Mer on the Vermilion Coast, at the foot of the Albera mountain range (1157m), where the majestic Pyrenees plunge into the Mediterranean sea. The village's history dates back to the 9th century, and has a rich past linked to the kings of Aragon and Mallorca in the 13th and 14th centuries. 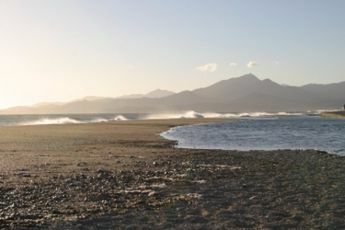 The town became French in 1659, Argelès-sur-Mer is now the flagship town of the Eastern Pyrenees, featuring among its many treasures, a magnificent 7km beach and a 12 hectare pine forest. Boasting a blue flag award, the seaside town ensures a healthy holiday filled with clean air and sunshine. 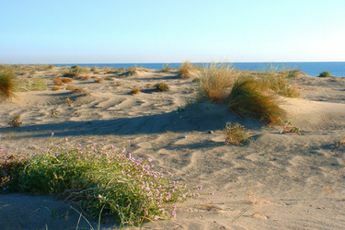 An unmissable visit is Mas Larrieu, one of the last dune ranges in the South of France. On the cultural side, the central area of the Albera will allow everyone to absorb the culture of the region. A visit to the chateaus of Pujols or Valmy, with its flower park, is highly recommended. For those who enjoy swimming, Aqualand in Saint-Cyprien offers the guarantee of a great day! Then around towards Collioure (5km), visitors will discover the "Racou", a little paradise in the colours of blue and emerald. All around are charming picturesque villages: Sorède (9 km) and its whip factory, Palau del Vidre (10 km) and its glass craftsmen, Saint-André and its farm of yesteryear (8 km) ... In Perpignan (25 km), you can fulfil all of your shopping needs and visit many museums. Unless the colours and flavours of Spain convince you to visit the Costa Brava, you can go along to the beaches of Port Bou (30 km) or visit the unmissable Dali museum in Figueras (57 km).